After the enormous success of 1977’s Star Wars, it didn’t take long for the series to give fans spin-off efforts. A novel called Splinter of the Mind’s Eye came out less than a year after the release of Star Wars. In addition, Marvel’s line of comics branched into original stories as soon as late 1977. As soon as they finished the six-issue adaptation of the film itself, Marvel gave us new adventures from Luke, Leia, Han and the others. Those offerings existed as the tip of the iceberg, as the Star Wars “Expanded Universe” exploded over the decades. Comics, novels, videogames, TV shows, TV series – it all added up to an incredible amount of unique Star Wars characters and material. Even with all that, the franchise avoided one area: live-action feature films. Two Ewok movies aired on TV in the 1980s, and 2008’s animated Clone Wars became the first Star Wars big-screen release that wasn’t an “episode”. The series finally broached live-action non-“episode” cinematic fare with 2016’s Rogue One: A Star Wars Story. Though the first of its kind, it won’t be the last. We already know we’ll get a “young Han Solo” movie in 2018, and I suspect more spin-offs will arrive as the years pass. Set immediately preceding the events of Episode IV, Rogue One introduces us to Jyn Erso (Beau Gadsdon), a young girl whose father Galen (Mads Mikkelsen) worked as a research scientist for the Empire. 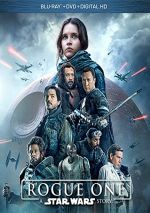 Galen takes Jyn and his wife Lyra (Valerie Kane) into hiding, but Imperial Director Orson Krennic (Ben Mendelsohn) finds him. As a result, Galen winds up back at work for the Empire, Lyra dies and Jyn goes with resistance leader Saw Gerrera (Forest Whitaker). Though Saw raises her, they part ways in a non-amicable fashion along the way, and an adult Jyn (Felicity Jones) becomes a prisoner of the Empire. At work on a new Imperial weapon, Galen manages to send a holographic message to the Rebellion. Imperial pilot Bodhi Rook (Riz Ahmed) defects to deliver this information to the resistance, but he gets captured along the way. The Rebels want to get to Bodhi, and they free Jyn to assist in this effort. Along with Rebel Captain Cassian Andor (Diego Luna) and his reprogrammed Imperial droid K-2SO (voiced by Alan Tudyk), Jyn goes on a mission to deliver crucial information to the Rebels and to save her father as well. When I saw The Force Awakens in 2015, I really liked it, though I questioned how much of my reaction came from the quality of the movie itself. I felt so delighted to see new Star Wars material that I figured I might have enjoyed it more due to my affection for the franchise and less for the film’s own merits. Rogue One does a lot to dismiss those concerns. The movie proves that I need more from a Star Wars movie than a simple return to its universe, as Rogue One presents a surprisingly flat affair. All the positives I got from Force Awakens vanished as I watched the dour and leaden Rogue One, and not just because the spin-off tells a darker story. It does, and not one with a unilaterally happy ending – I won’t spill spoilers, but I will say the movie’s body count includes more than just the usual slew of hapless Imperial soldiers. But I like “dark”. Empire Strikes Back remains my favorite of the Original Trilogy, and Revenge of the Sith also stands as my preferred Prequel. Both offer the most somber tales of their trilogies, so I don’t run away from Star Wars that isn’t sunny ‘n’ perky. Indeed, most of the best Force Awakens moments come when it goes Empire on us and embraces darker emotions. Sure, if offers a frothier adventure than the series’ most grim entries and Rogue One, but that doesn’t make it silly fun. I take issue with Rogue One because it embraces a supposedly serious, dramatic vibe without the substance to back up its tone. Many of its “dark” moments feel gratuitous and lack clear motivation other than to veer in that direction. Again, I’ll avoid spoilers, but I feel the film kills off characters who don’t need to die for logical narrative reasons. They’re sacrificial lambs to the movie’s artificial sense of self-importance and their deaths exist solely to prompt audience emotion. In my case, the desired reaction – sadness, grief, tears – didn’t come. When various heroes died, I shrugged and that was about it. I never bonded with any of the characters and really felt no reaction when anything happened to them. That’s a massive failing, especially given the franchise’s history. 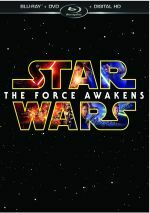 While most seem to believe that the Star Wars films succeeded due to their whiz-bang action and effects, those domains don’t sufficiently explain the series’ endurance and prominent place in our culture. Sure, the visuals and excitement function as part of why we love Star Wars, but it’s mainly the characters who stick with us. That was the main reason the Prequels didn’t resonate to the same degree as the Original Trilogy: those films developed their participants too poorly for the audience to really invest in them. Instead, the Original films gave us characters who elicited strong emotional reactions. We loved Luke, Han, Leia and the gang, and we hated Vader and various baddies. These personalities impacted us strongly and became the primary reason we still adore those movies. It’s too soon to see where the unique characters of Force Awakens will stand in the long run, but I think they start well. The movie portrays Rey, Finn, Kylo and the others in a manner that lets them develop appropriately and give us involving personalities. Nothing of the same occurs during Rogue One. Jyn, Cassian, Krennic, Saw – none of them manage to impact the viewer in a substantial way. If we care about any of them, it’s out of basic dramatic duty: we know we’re supposed to feel a certain way, so we do. Maybe. Sort of. A little. But not really, as no matter what threats occur, the characters of Rogue One remain bland, forgettable and nearly anonymous. The only mild exception comes from K-2SO. A somewhat acerbic droid, K-2SO gets most of the movie’s rare attempts at comedy, and Tudyk delivers the lines reasonably well – I guess. In truth, it’s tough to tell if I laughed at K-2SO’s asides because they were funny or just because they offered relief from the dreary monotony. I suspect it’s more the latter, as I don’t think the droid’s comments are all that great, but in the midst of the tedium, I’ll take what I can get. Even the film’s many action scenes fail to impress. Many viewers seem to think the climactic attack on an Imperial base delivers awesome goods, but frankly, this extended sequence leaves me cold. This may be less due to the quality of the action and more because of my overall boredom, though. By the time we finally got to the final act, I’d already largely checked out. Too much tedious nothing left me ready for the movie to end long before it arrived at the climax, so there wasn’t much the finale could do to reel me back into the tale. Again, my lack of concern for the characters becomes another issue. Battles and drama don’t make a dent if we don’t invest in the outcome – especially given that we know the mission in question will succeed. This doesn’t count as a spoiler – since Rogue One acts as the lead-up to Episode IV, we’re wholly aware that Jyn and company will get the Death Star plans to the Rebels, so it’s not like we ever fret that they’ll fail. We do theoretically worry about the fates of some characters we don’t know from the Original Trilogy, though as already mentioned, I never experienced those emotions. Live, die, eat burritos – it made little difference to me what happened to Jyn and the rest after their mission. All of this makes Rogue One a fairly substantial disappointment, though its ancillary nature blunts the impact somewhat. I can’t speak for other fans, but this Star Wars-phile doesn’t care about the spin-offs anywhere near as much as I take interest in the Episodes. If 2017’s Episode VIII comes with half the problems that mar Rogue One, you’ll have to talk me off a ledge. Still, I’m pretty unhappy with Rogue One. Even if it’s just a side story, it’s still “big-screen Star Wars”, and that makes it a major event for fans like me. While I didn’t get pumped up to see it like I did Force Awakens, I still hoped for a strong entry in the franchise. Unfortunately, the end result left me largely cold. Perhaps subsequent viewings will alter my opinion, but right now, I view Rogue One as the weakest of the big-screen Star Wars films – even the worst of the Prequels offers more entertainment than this leaden, ineffective affair. Postscript: as I did with Force Awakens, I wrote my review of Rogue One within a day of my initial theatrical screening. With Force Awakens, I loved the movie from the start and only came to appreciate it more with subsequent viewings, so I didn’t need to change many of my original thoughts. In the case of Rogue One, though, I find a more complicated situation. As I implied earlier, I left open the possibility that I’d like it more when I saw it again, and I did. I viewed the film one more time theatrically, so this Blu-ray makes my third run-through of it. Of the three, I enjoyed the second screening the best, probably because I expected the least from it. This viewing took place about a month after the less than satisfying impression I wrote about above, so my hopes for the film sat at their lowest point. I didn’t look forward to Screening 2 at all – I went solely because I promised to take my dad – so it shouldn’t seem like a shock that I took something positive from it. I did like it a lot more the second time through, but I lost some of those gains with this third viewing on Blu-ray. Again, I suspect expectations account for this. After the moderate gains in opinion that greeted Screening 2, it became almost inevitable that I’d find Screening 3 less enchanting. And I did. This Blu-ray viewing took place about two and a half months after Screening 2, and it reminded me again why I found the film less than enthralling back in December 2016. Though I still liked it more than I did on Screening 1. Many of the negatives I discussed above stay in place, as I continue to feel Rogue One suffers from a certain lack of enthusiasm and fervor that doesn’t come with the other Star Wars films. I also still don’t really care about the characters. I probably like Jyn and company a little more with additional viewings, but I continued to feel somewhat detached from their journeys and not particularly invested in their fates. Nonetheless, I like them a wee bit more, and I think the action scenes fare better than I initially believed – especially during the third act. That portion packs in a lot of action and offers more thrills and excitement than I first felt. All of this leaves Rogue One as a better film than I thought in December 2016 but still not a great adventure. In December 2016, I would’ve given it a 3 out of 10. In January 2017, I would’ve bumped that up to a 6.5 out of 10. Now in late March 2017, I’ll split the difference and give it a 5/10. To be sure, Rogue One remains an erratic and flawed Star Wars adventure, but it still offers enough thrills to be watchable and moderately entertaining. Rogue One: A Star Wars Story appears in an aspect ratio of approximately 2.39:1 on this Blu-ray Disc. Overall this became a pleasing presentation. Sharpness seemed strong. Virtually no softness materialized here, so the image remained accurate and concise. Jaggies and shimmering remained absent, and I also saw no signs of print flaws or edge haloes. Not even the Star Wars universe stays immune from the Curse of Orange and Teal, as those tones dominated the presentation. Within stylistic confines, the hues looked positive. Blacks were deep and dark, but shadows could seem a bit dense. Though not overwhelming, I thought low-light shots appeared a little denser than anticipated. Nonetheless, the image worked well as a whole. Though not among the best of the Star Wars soundtracks, the DTS-HD MA 7.1 audio of Rogue One still did nicely for itself. The movie came with a good general sense of atmosphere and showed smooth delineation of the score as well. Of course, the film’s many action sequences gave it the biggest kick, and those added a lot of spice to the proceedings. With ships and battles and explosions, the material filled the speakers and created a dynamic sense of these elements. The entire third act created arguably the most impressive section of the film. With a massive assault involved, this portion of the flick acted as a nearly non-stop highlight reel that became lively and engaging. Audio quality seemed good. Speech remained natural and distinctive, without edginess or other issues. Music came across as full and rich as well. Again, effects demonstrated the strongest aspect of the mix, as these added punch. The elements sounded accurate and dynamic, with clear highs and intense lows. Bass response seemed powerful and contributed a solid presence throughout the film. In the end, the soundtrack created a quality impression. All of the set’s extras show up on Disc Two, and most of these appear under the banner The Stories. With a total running time of one hour, eight minutes, 58 seconds, the domain breaks into 10 featurettes: “A Rogue Idea” (9:00), “Jyn: The Rebel” (6:16), “Cassian: The Spy” (4:14), “K2SO: The Droid” (7:43), “Baze and Chirrut: Guardians of the Whills” (6:20), “Bodhi and Saw: The Pilot and the Revolutionary” (8:35), “The Empire” (8:18), “Visions of Hope” (8:24), “The Princess and the Governor” (5:49), and “Epilogue” (4:15). Across these, we hear from Lucasfilm president Kathleen Kennedy, visual effects supervisor John Knoll, SVP developer Kiri Hart, co-production designers Neil Lamont and Doug Chiang, concept artist/senior art director Christian Alzmann, co-producer John Swartz, producers Simon Emanuel and Allison Shearmur, creative executives Rayne Roberts and Pablo Hidalgo, animation supervisor Hal Hickel, co-writer Chris Weitz, co-story writer Gary Whitta, director of photography Greig Fraser, computer graphics supervisor Andrew Booth, senior art director Gary Tomkins, executive producer Jason McGatlin, art director Jordana Finkel, costume designers Dave Crossman and Glyn Dillon, lead compositor Todd Vaziri lead animator Jee Young Park, and actors Felicity Jones, Diego Luna, Alan Tudyk, Donnie Yen, Jiang Wen, Riz Ahmed, Forest Whitaker, Mads Mikkelsen, Ben Mendelsohn, Guy Henry, and Ingvild Deila. The featurettes look at the film’s origins and development, how Edwards came to the project, story/character areas, cast and performances, sets and production design, costumes, effects and related areas. “The Stories” manages to offer a pretty good overview but not a deep one. With an hour of space, it gets into enough detail to satisfy, but I wish it offered more. This seems especially true given all the film’s production troubles, none of which receive attention. Rogue Connections fills four minutes, 31 seconds and offers trivia about various film characters/concepts. It becomes a quick but fun look at little tidbits viewers might have missed. A third disc presents a DVD copy of Rogue One. It includes none of the Blu-ray’s extras. Back in 2014, director Gareth Edwards made an erratic Godzilla movie. To prove this wasn’t a fluke, in 2016, Edwards created an erratic Star Wars movie. Though it comes with some good moments, Rogue One lacks the qualities to match up with the franchise’s better entries. The Blu-ray offers very good picture and audio along with average supplements. Rogue One offers decent entertainment but it fails to deliver a great Star Wars tale.